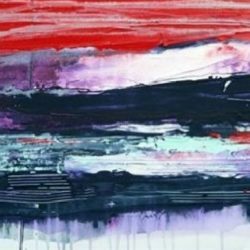 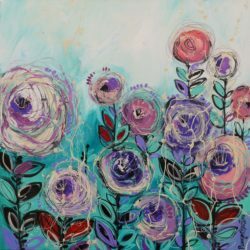 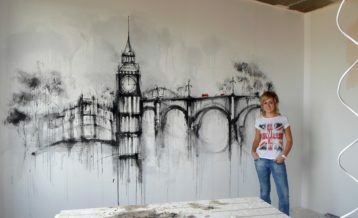 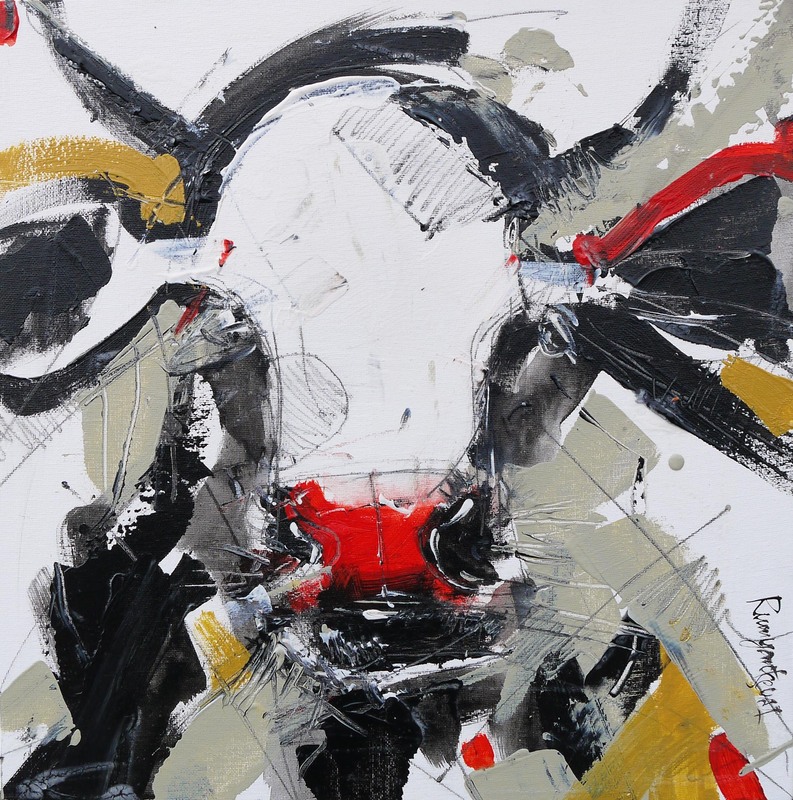 The artist’s popular expressive style of abstract cow painting with thick textured acrylic paint strokes. 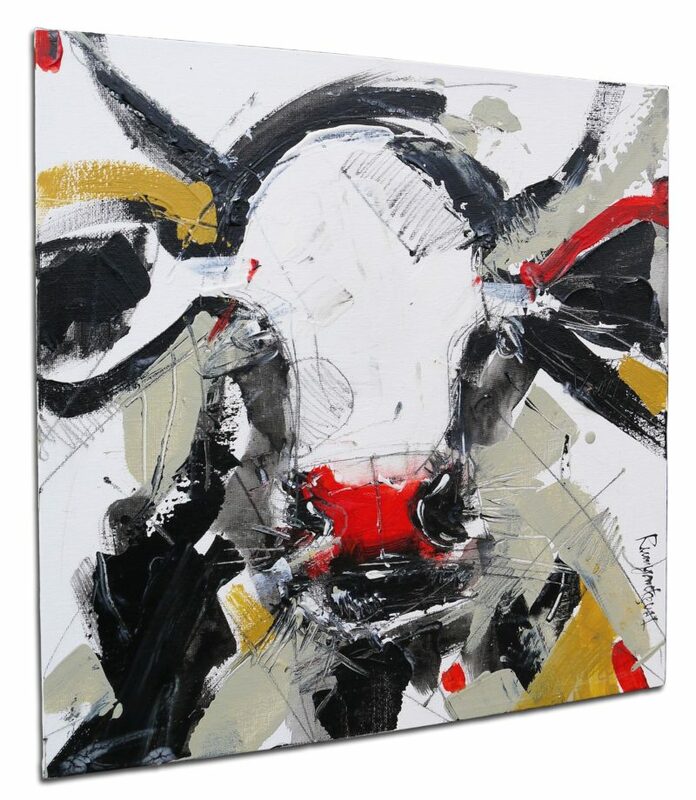 40cm x 40cm superb quality Gerstaecker canvas board, perfect for framing. 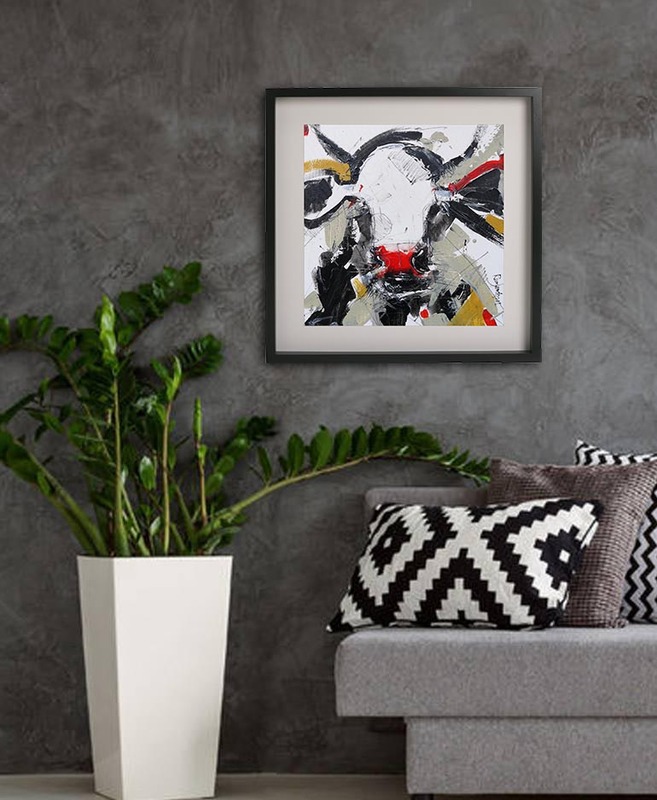 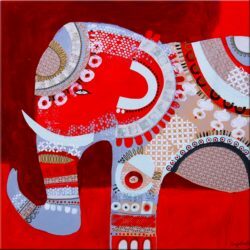 The artist’s popular expressive style of abstract cow painting with plenty of detail thick textured acrylic paint strokes, black and white with a touch of gold and an adorable bright red nose. 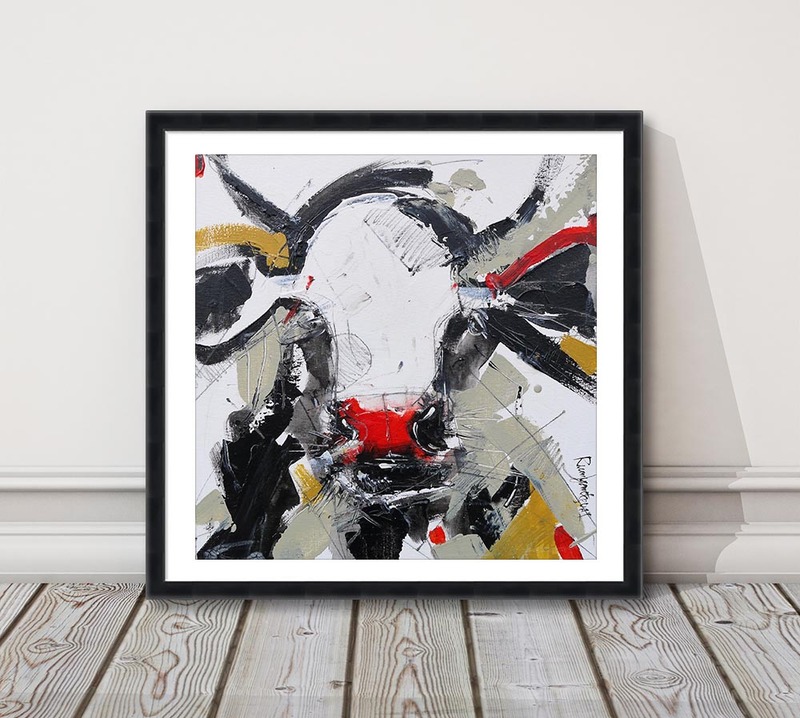 Frame used for display purposes and is not included.